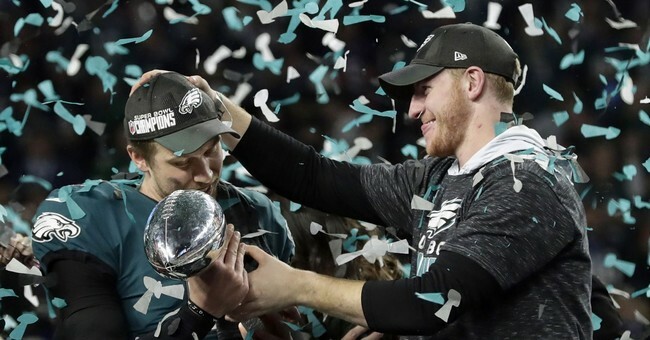 On Monday, June 4th, Democratic Pennsylvania lawmakers invited the Philadelphia Eagles to visit the U.S. Capitol following President Trump’s disinvitation of them to the White House. Rep. Brendan Boyle and Sen. Bob Casey, both Democrats from Pennsylvania both tweeted at the Eagles within just minutes of the White House announcing their rescinding of the Eagles to the White House. "The Philadelphia Eagles are unable to come to the White House with their full team to be celebrated tomorrow. They disagree with their President because he insists that they proudly stand for the National Anthem, hand on heart, in honor of the great men and women of our military and the people of our country. "The Eagles wanted to send a smaller delegation, but the 1,000 fans planning to attend the event deserve better." Regardless of the Eagles dis-invitation, the White House still plans to host an event for those Eagles fans that plan to attend. The White House said that they would “loudly and proudly play the National Anthem” during the event reported the Hill.